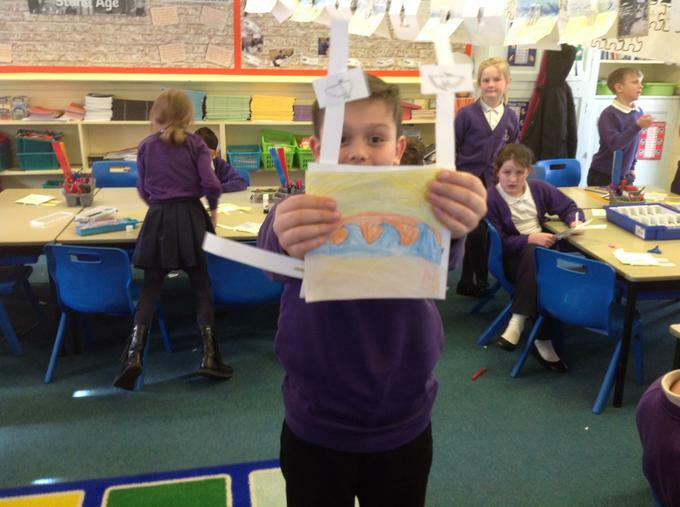 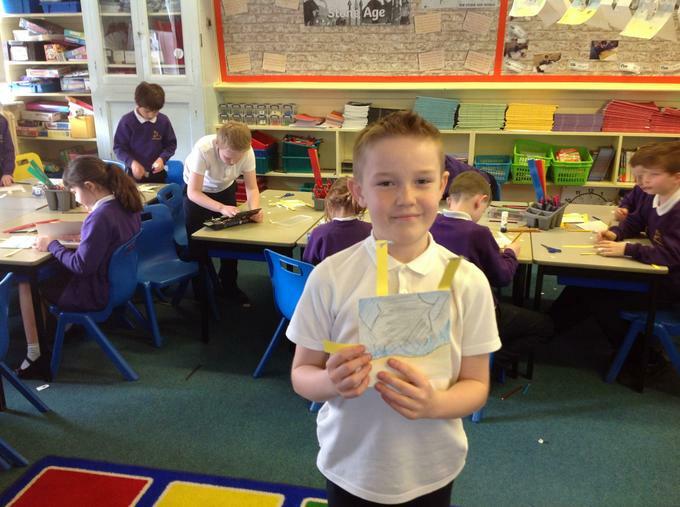 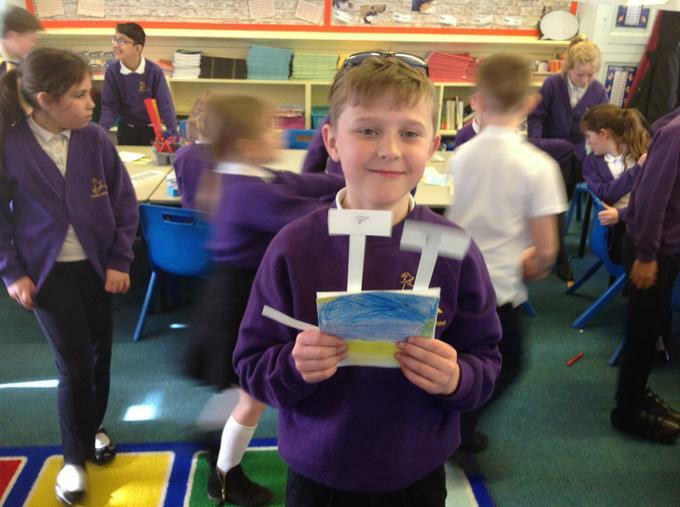 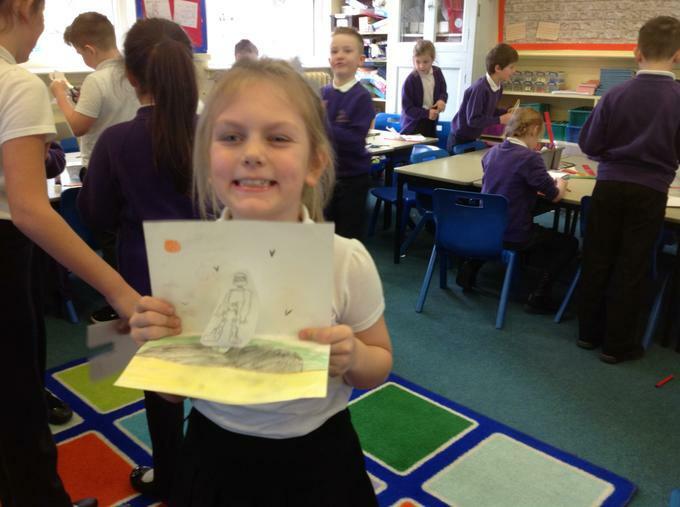 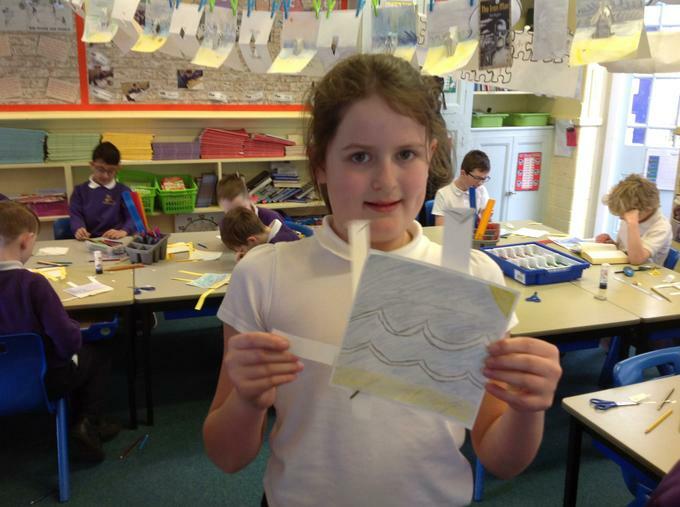 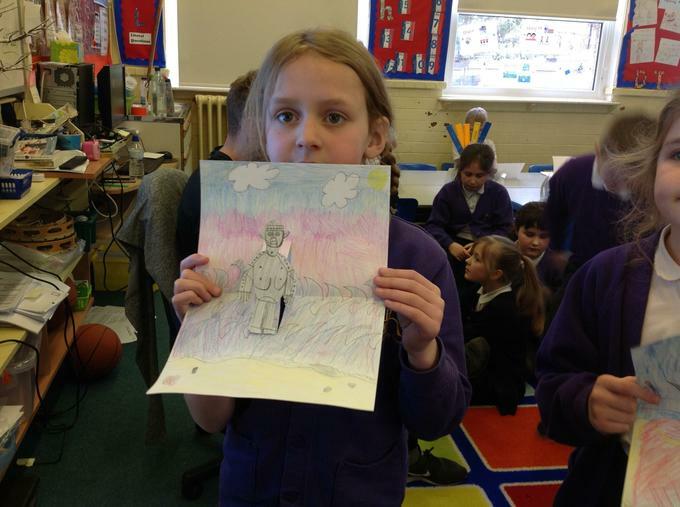 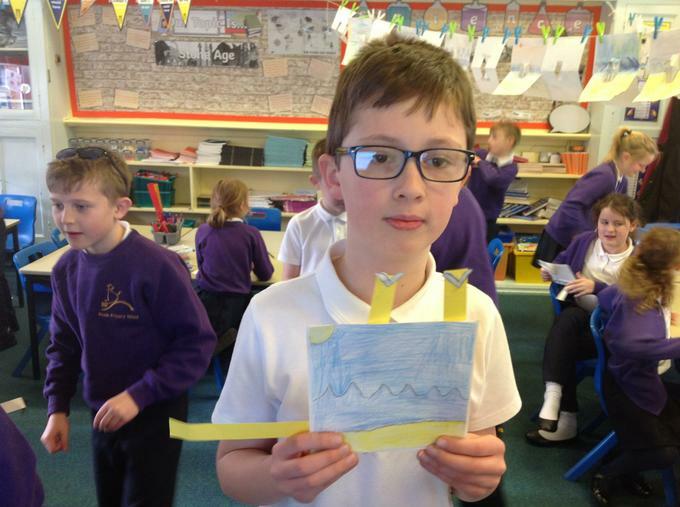 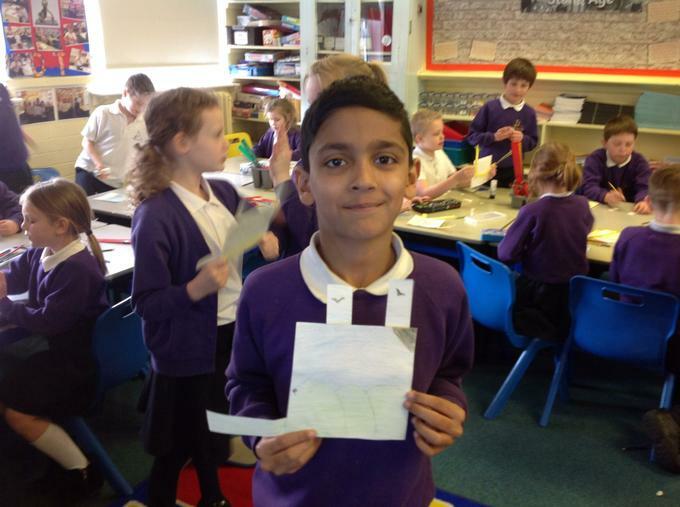 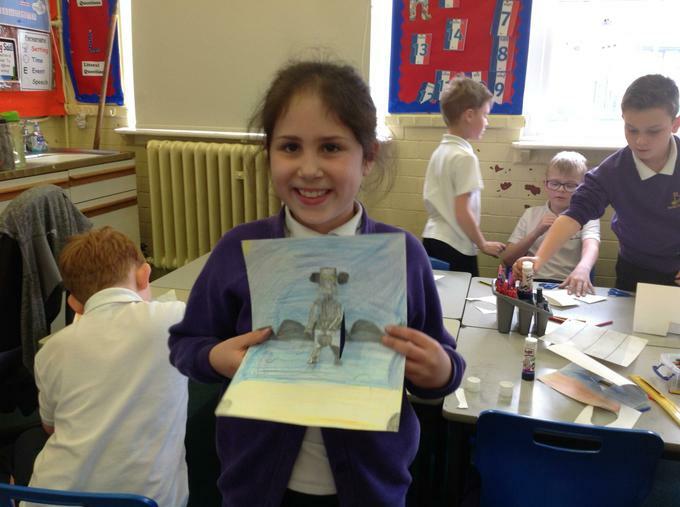 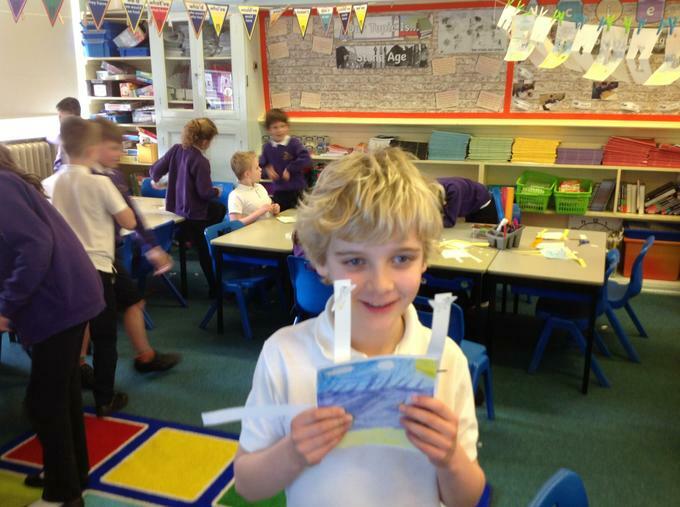 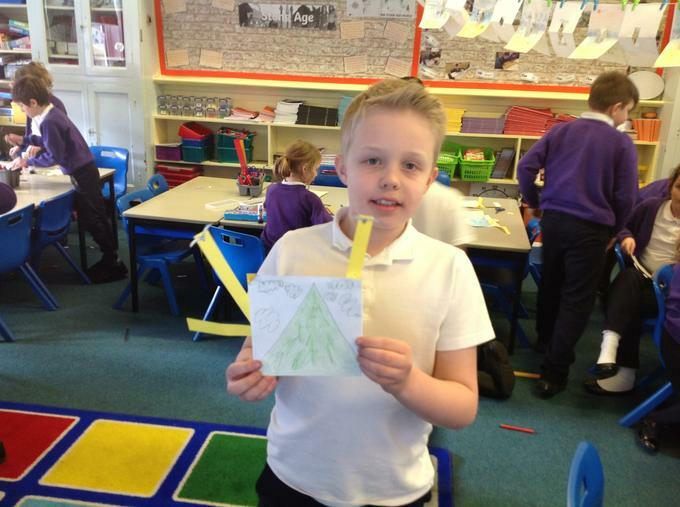 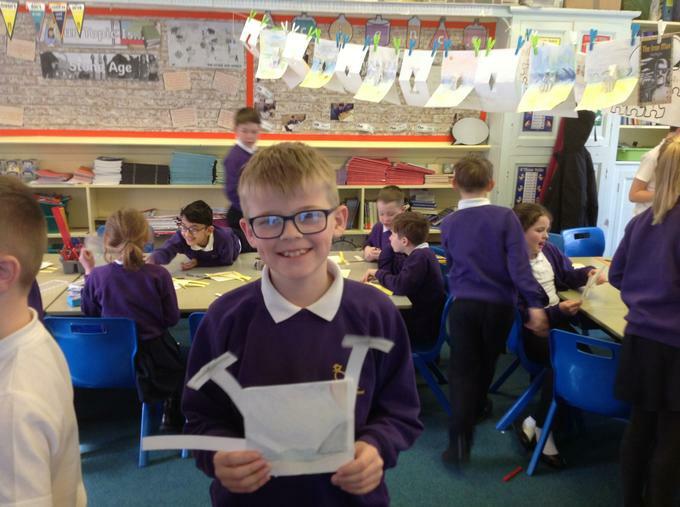 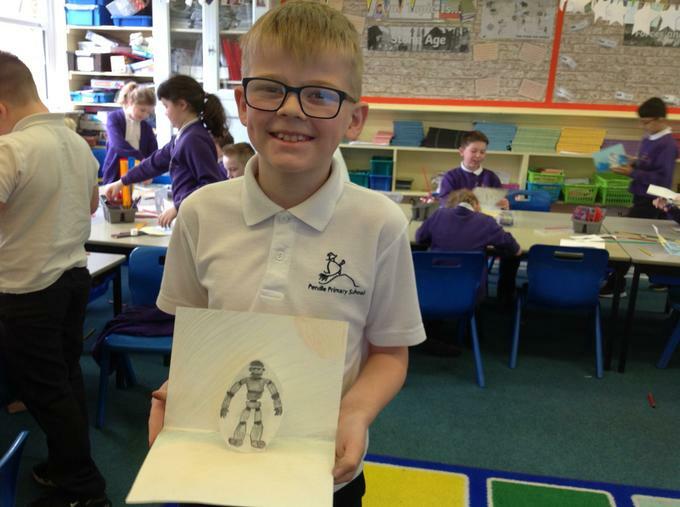 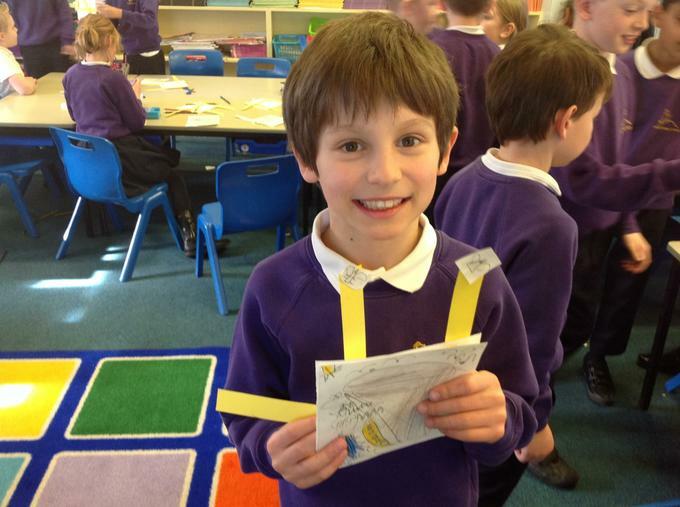 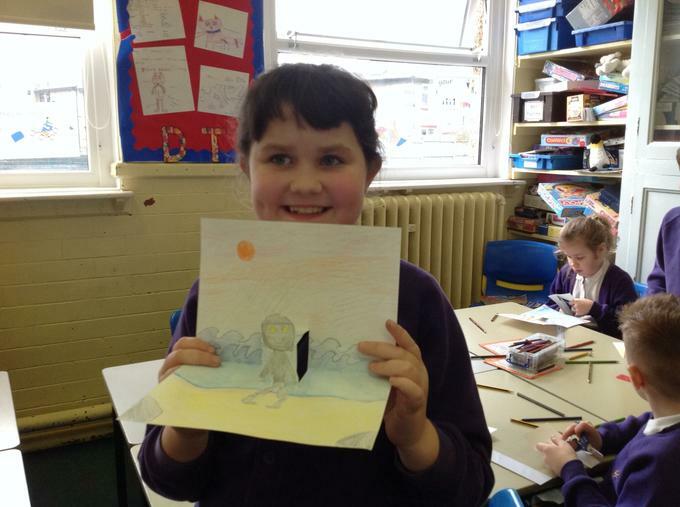 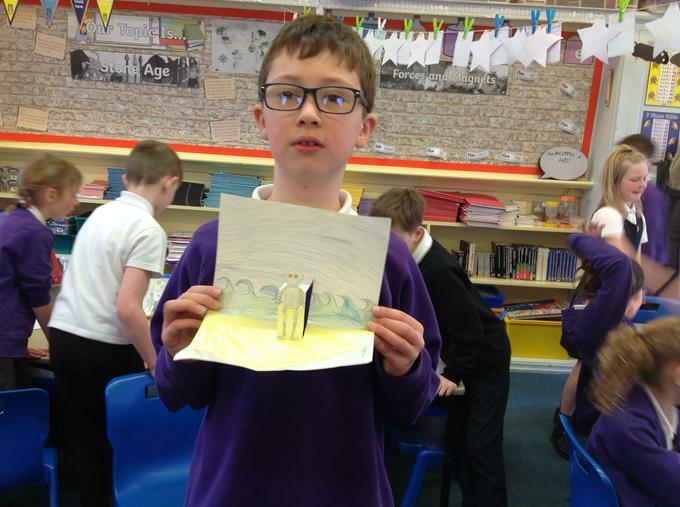 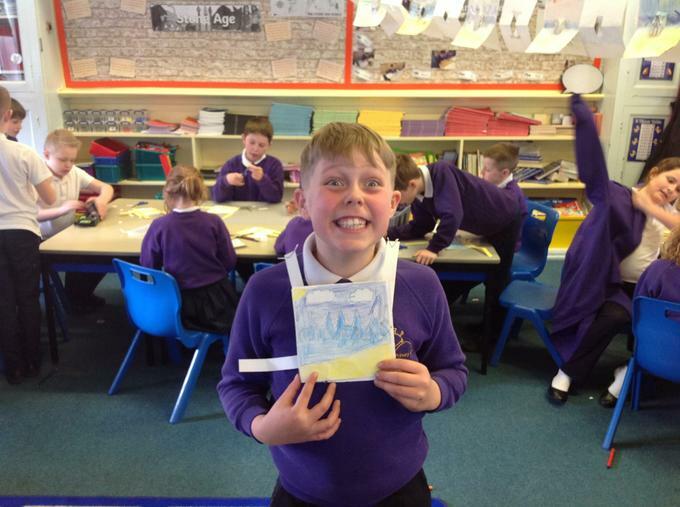 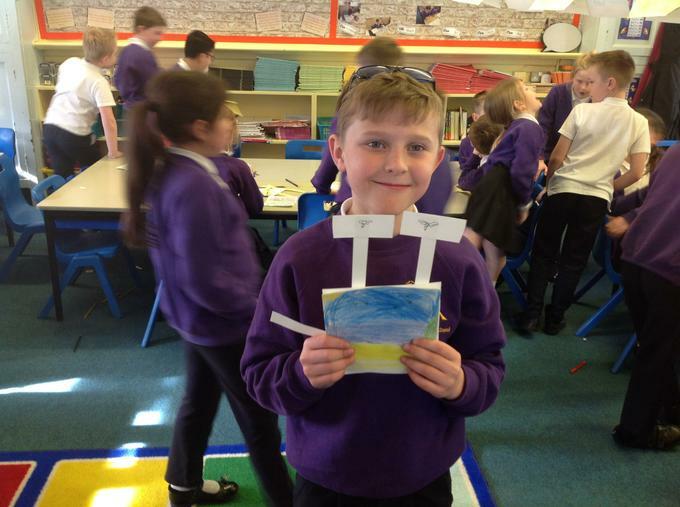 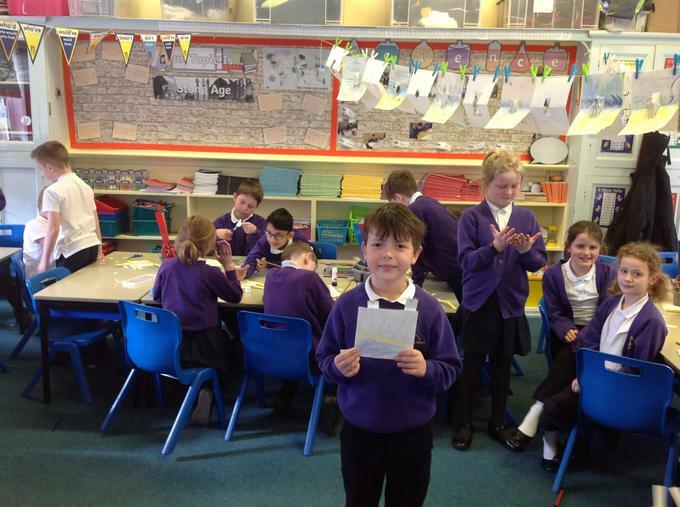 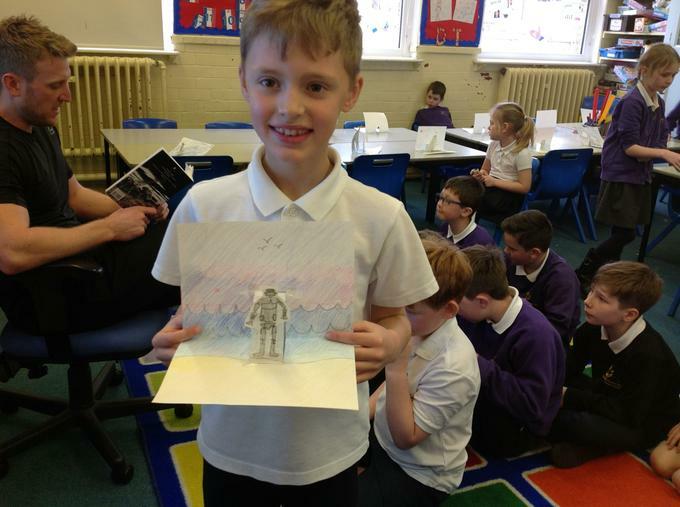 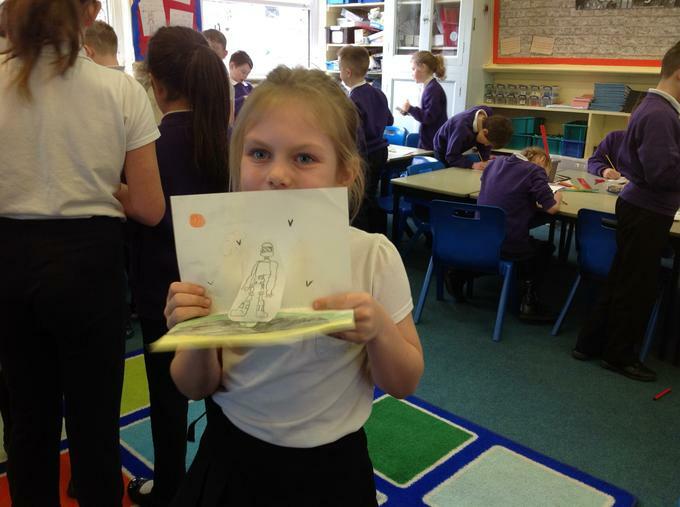 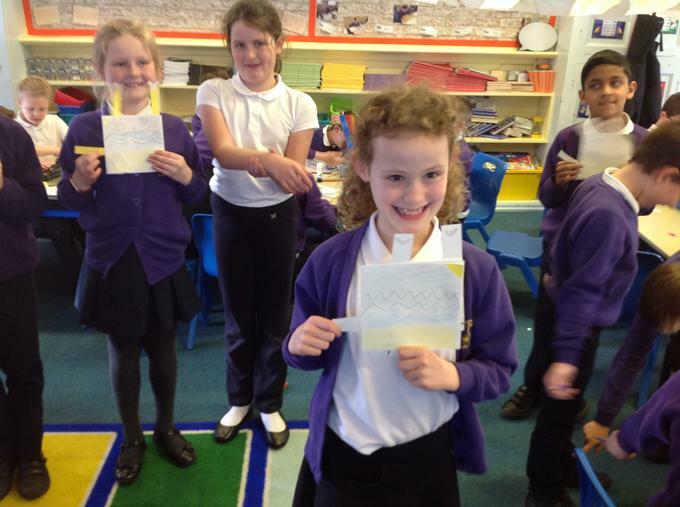 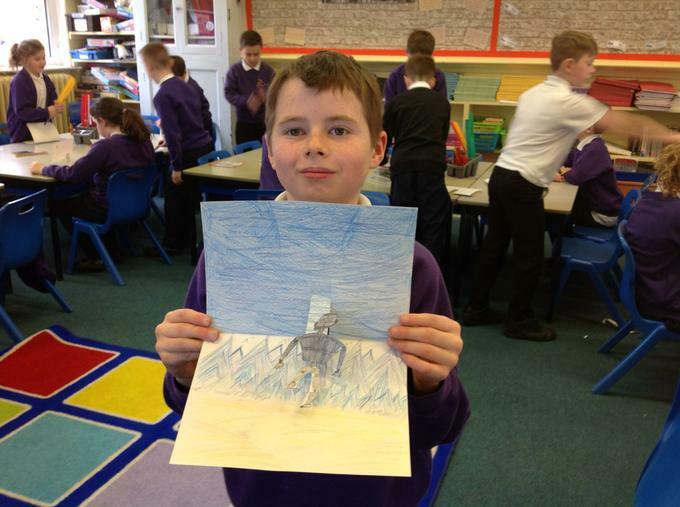 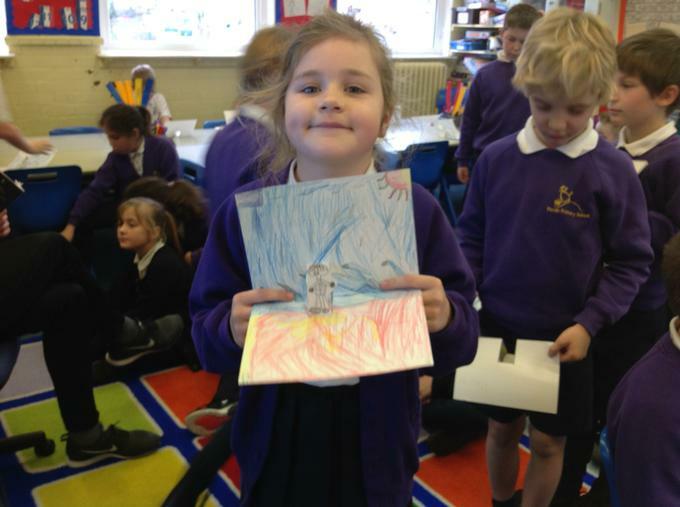 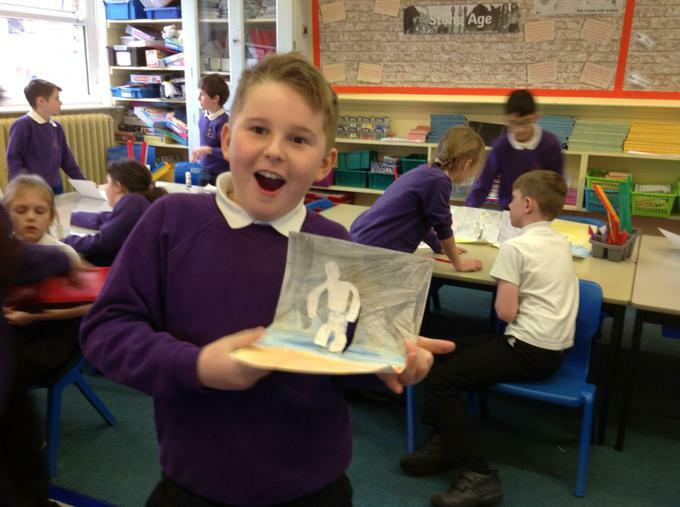 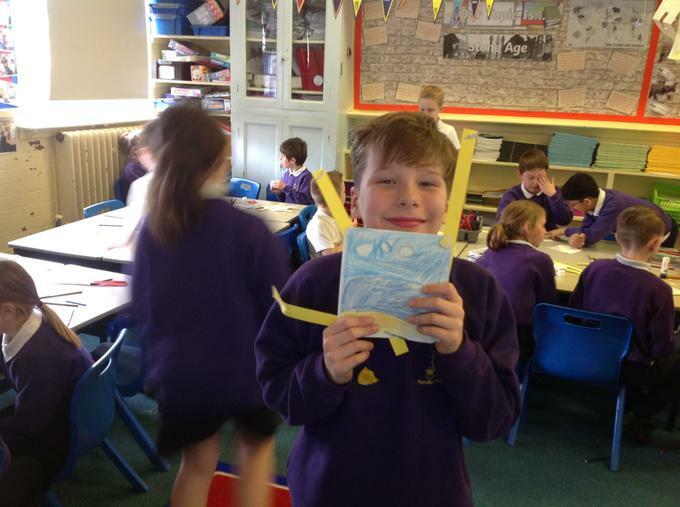 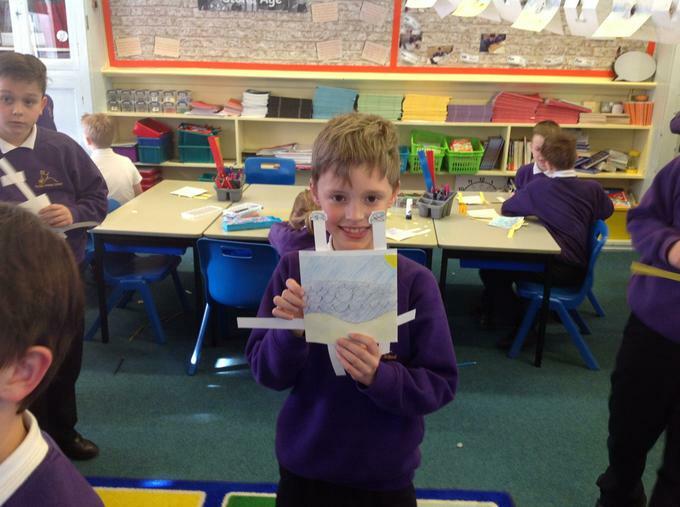 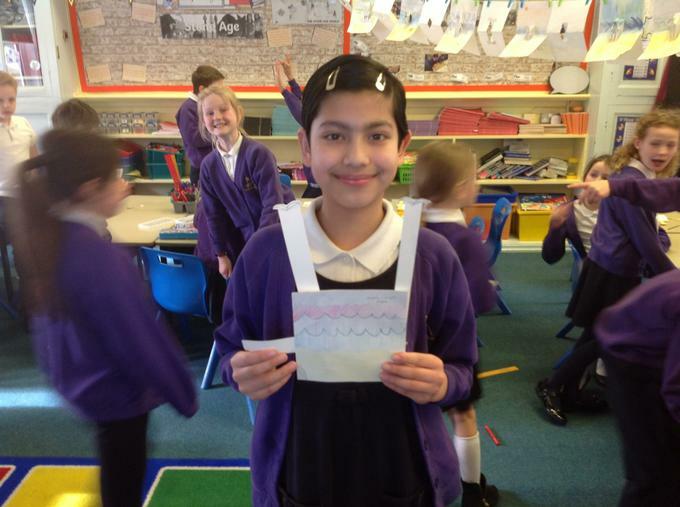 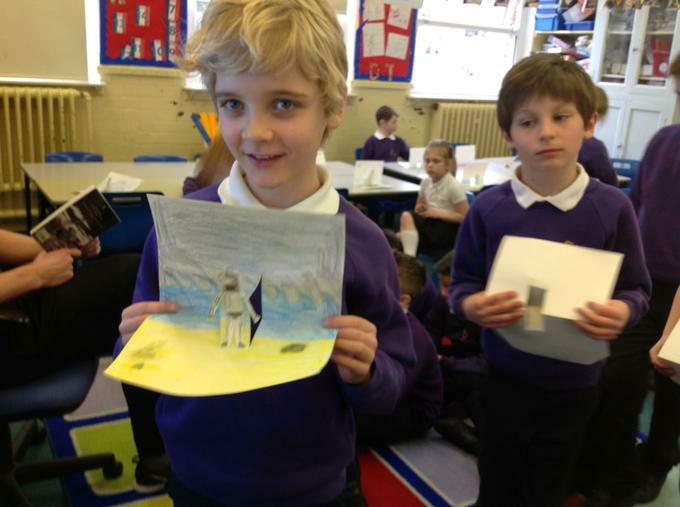 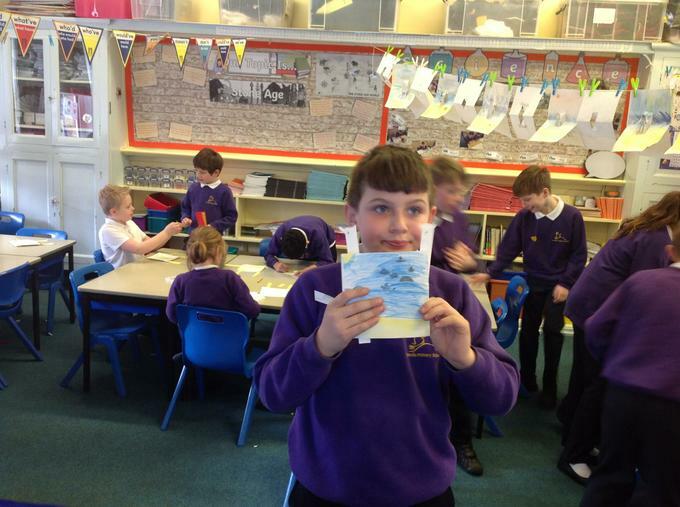 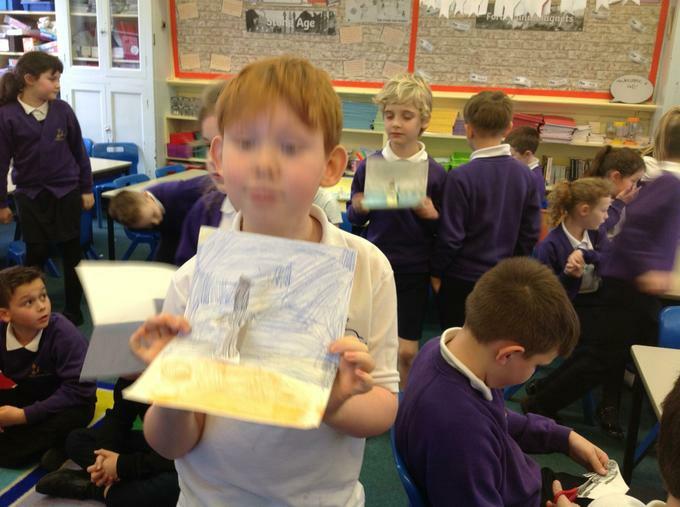 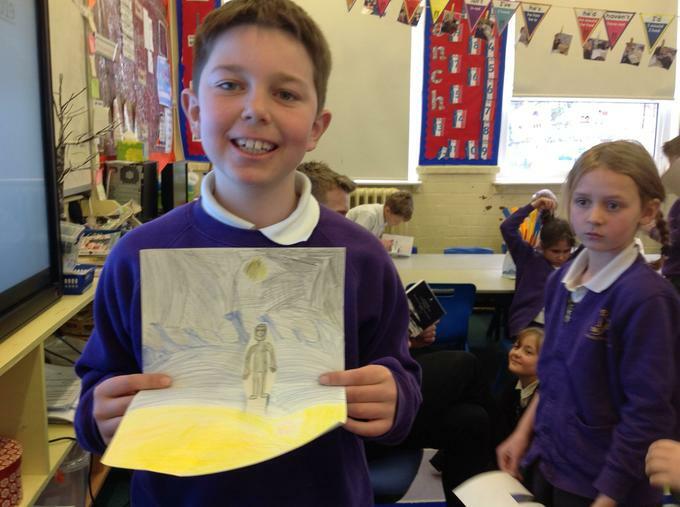 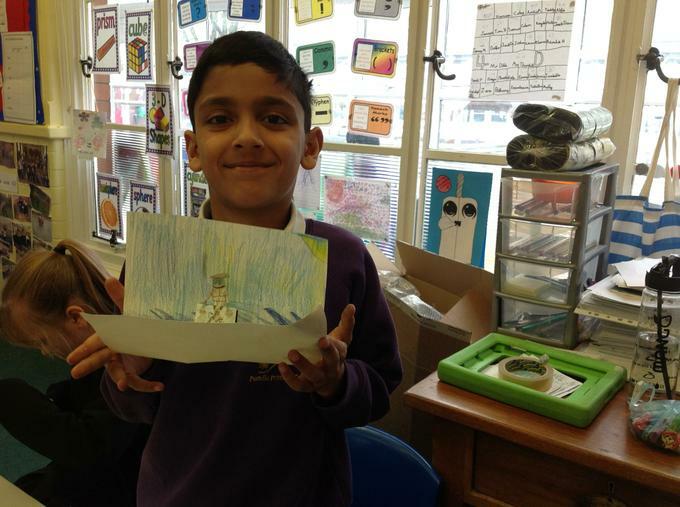 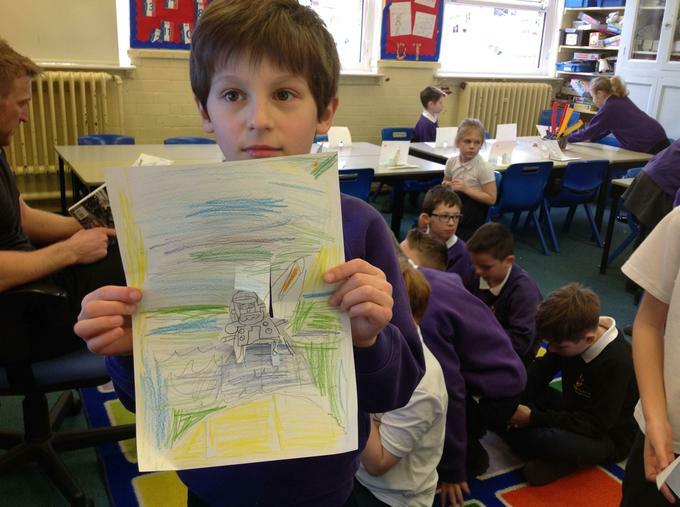 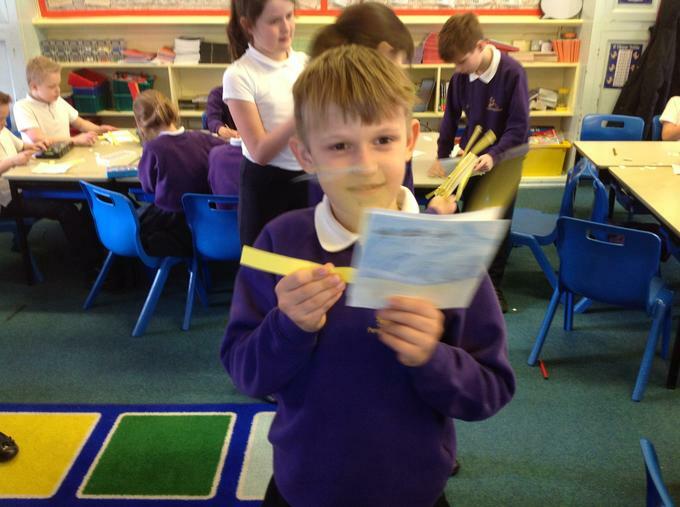 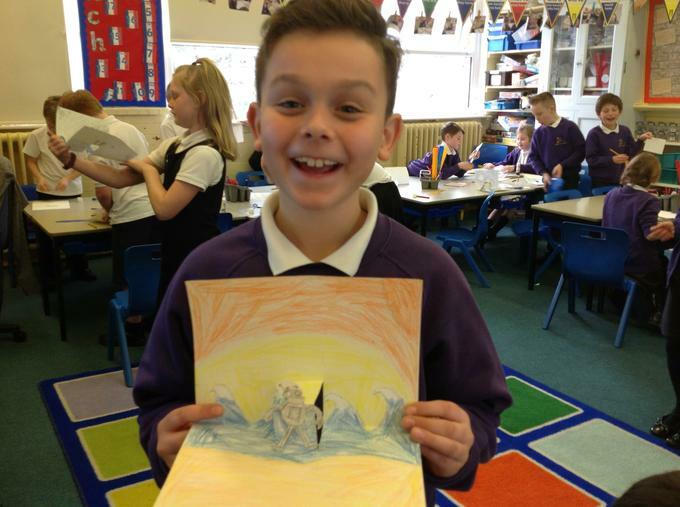 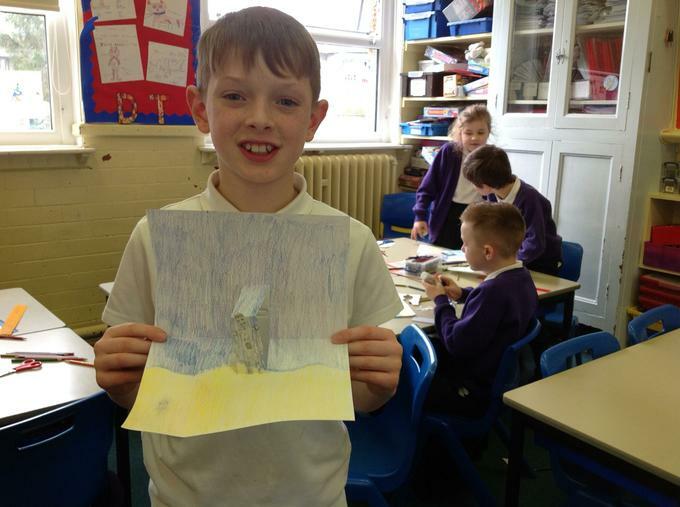 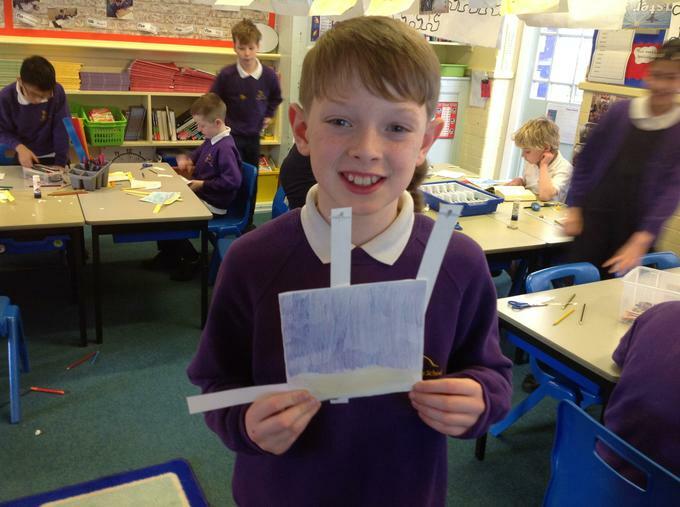 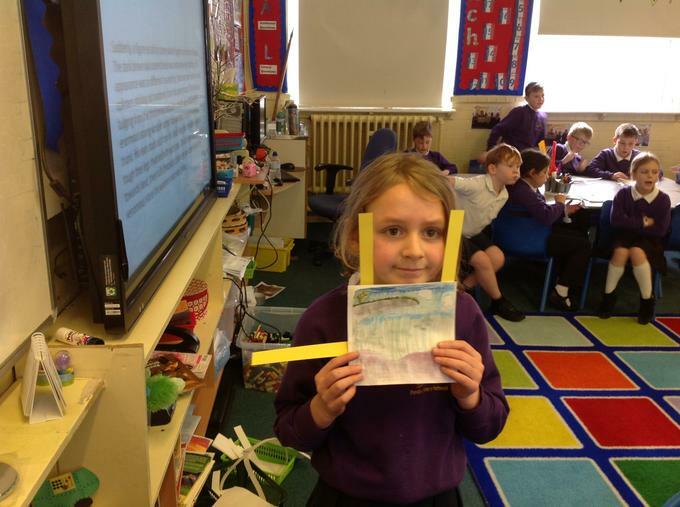 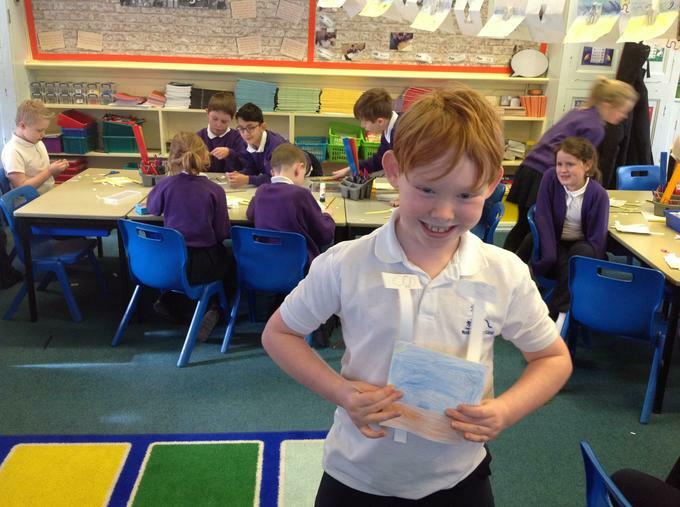 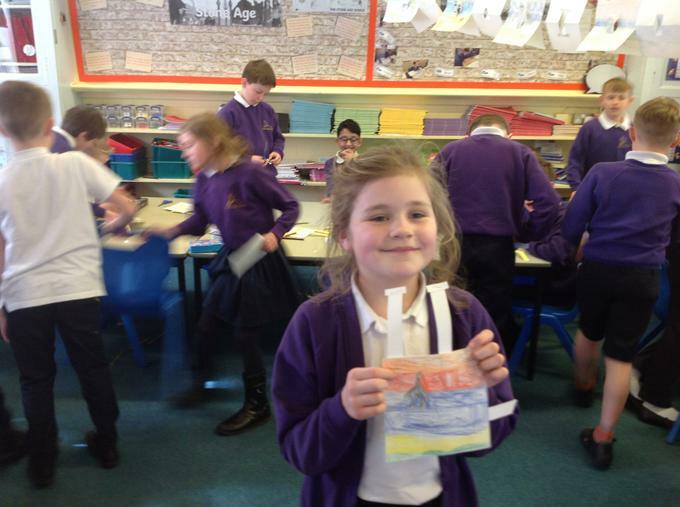 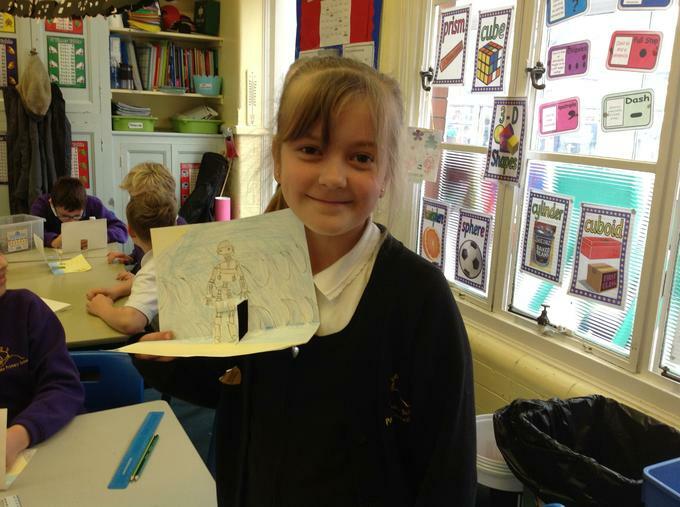 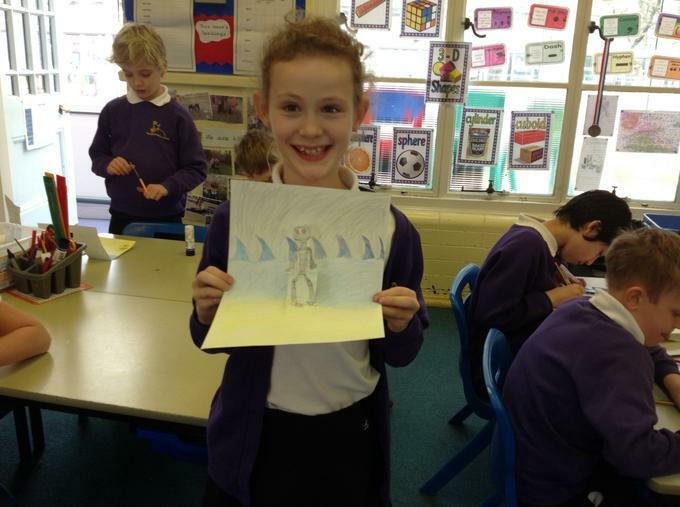 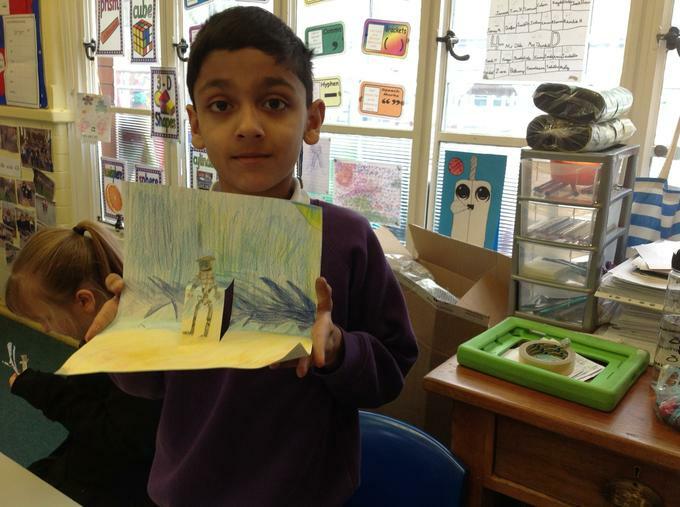 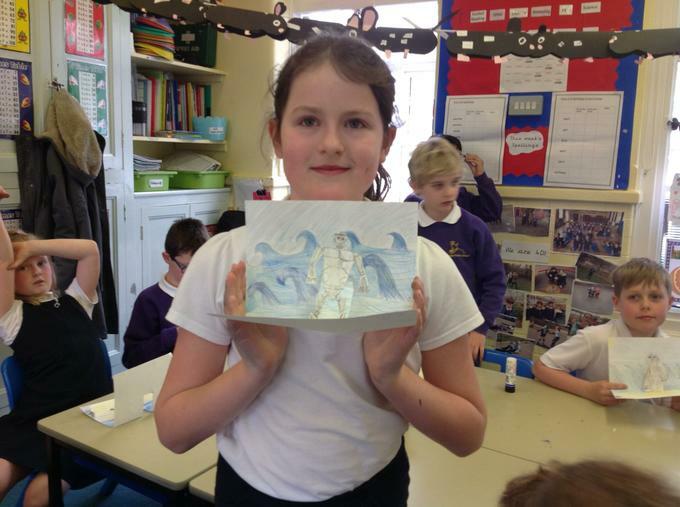 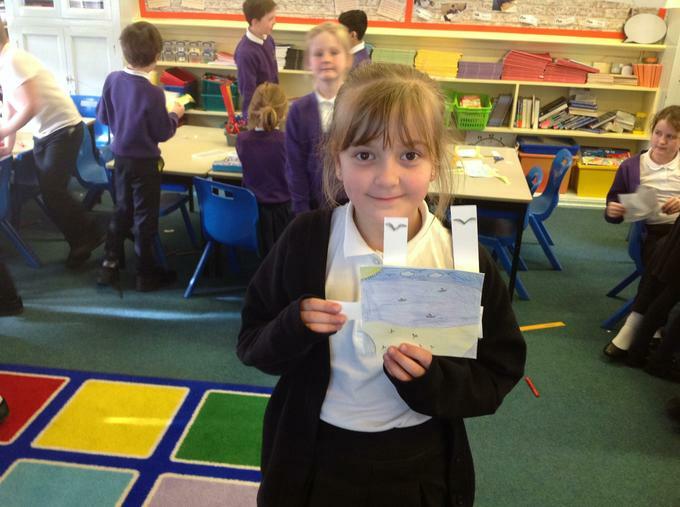 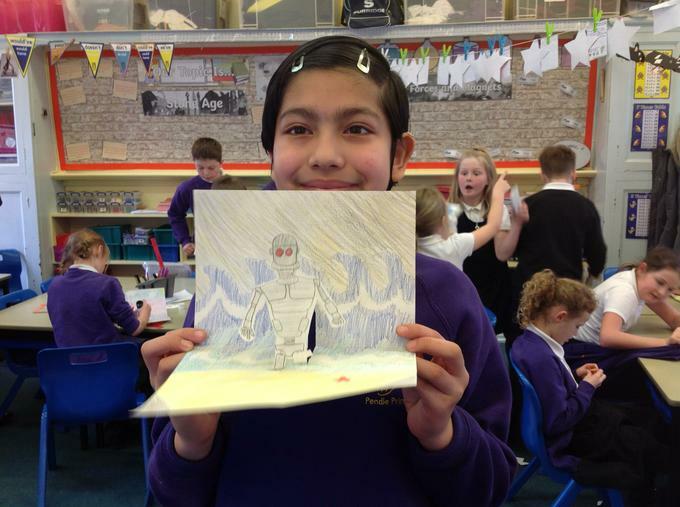 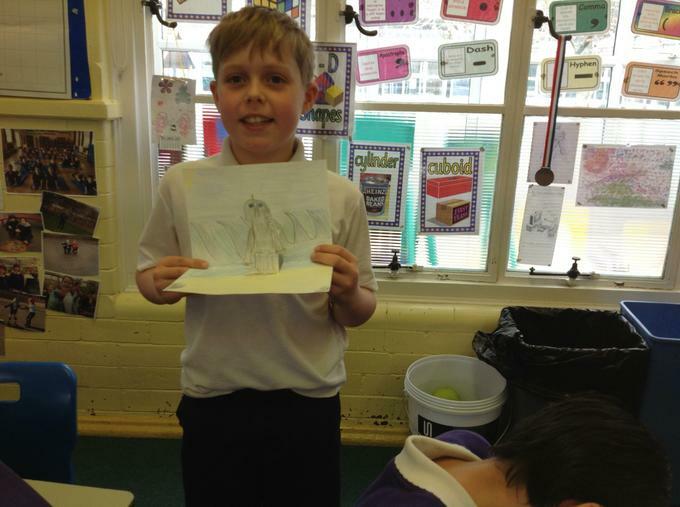 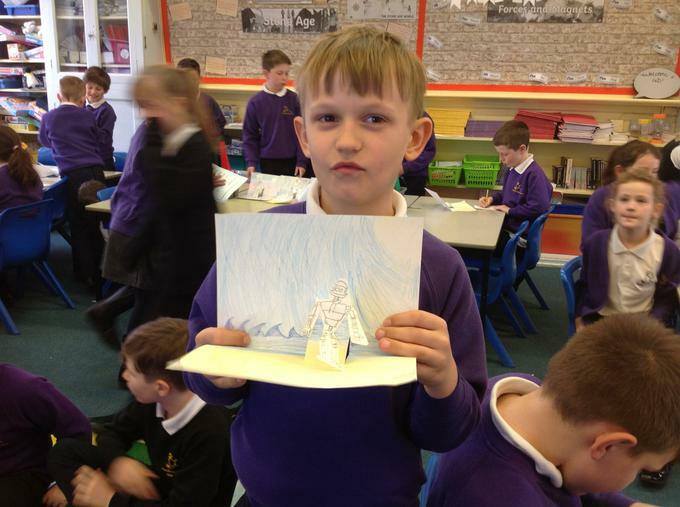 In literacy we have read The Iron Man and have created our own pop up picture of him. 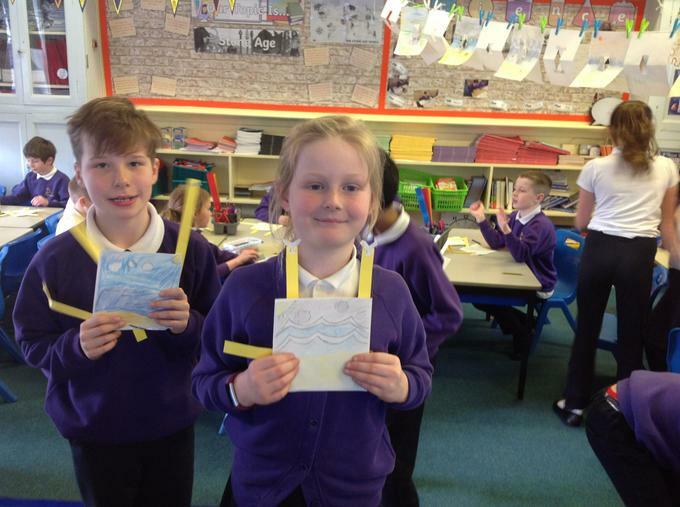 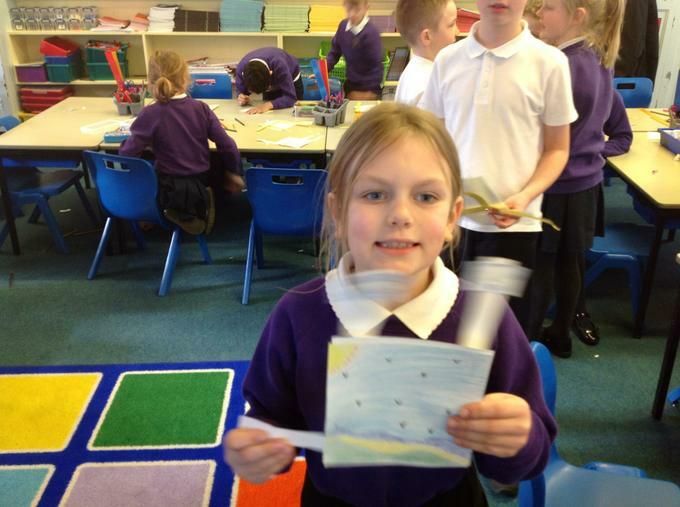 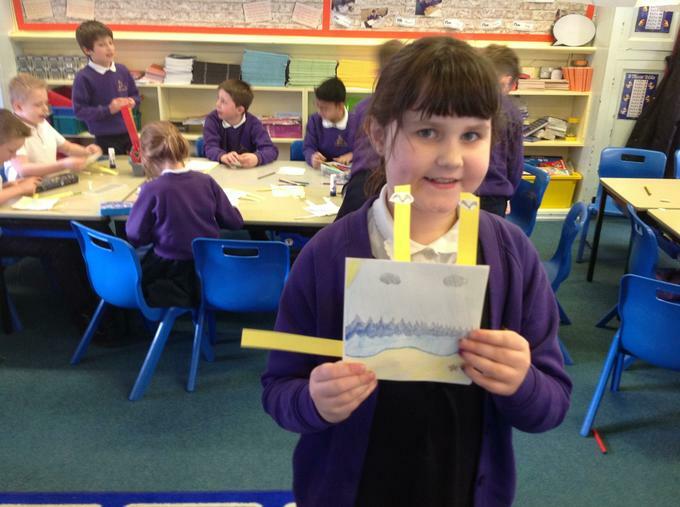 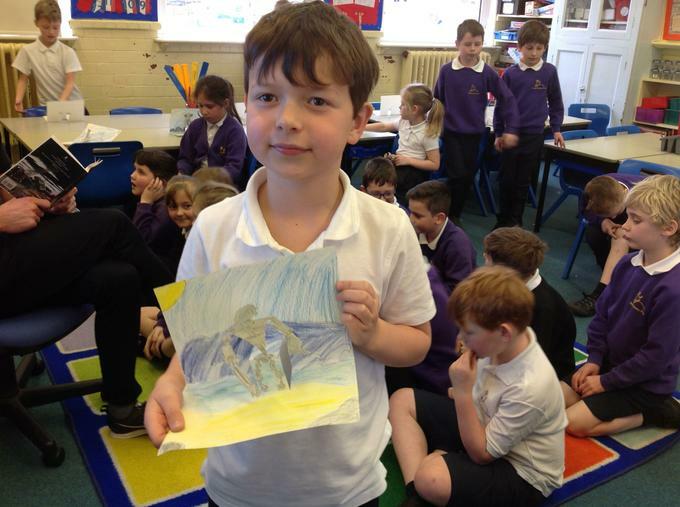 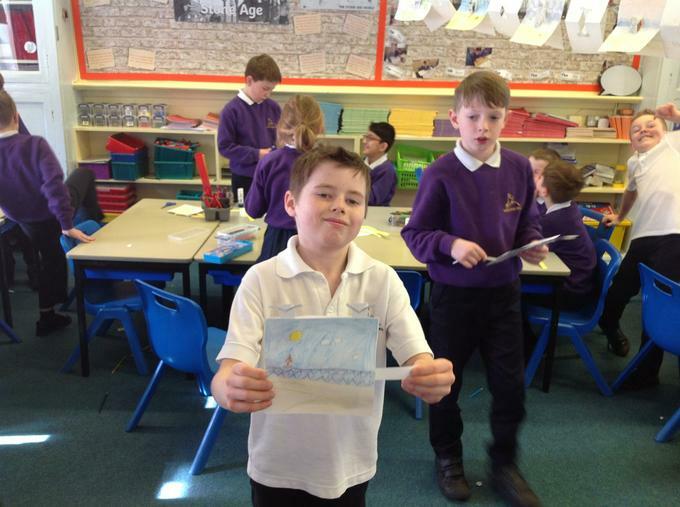 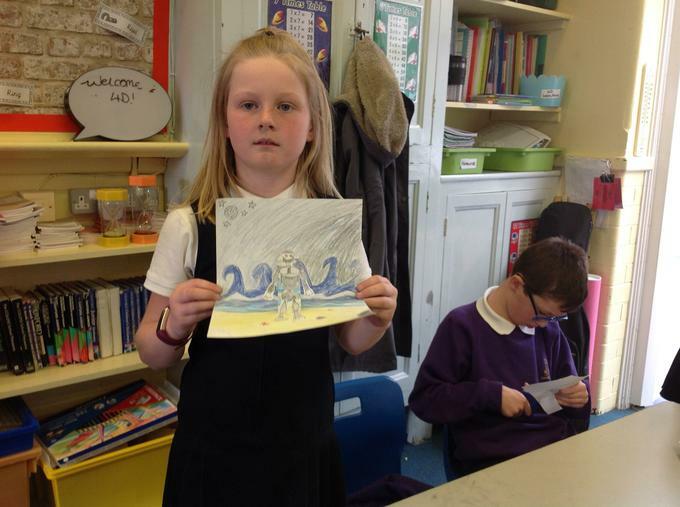 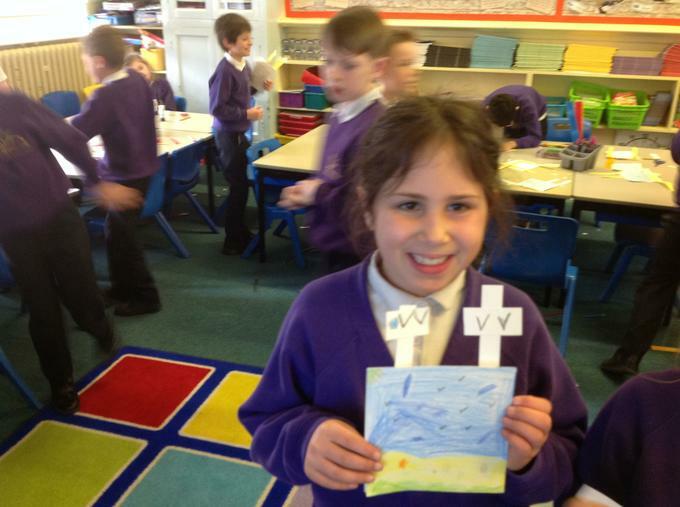 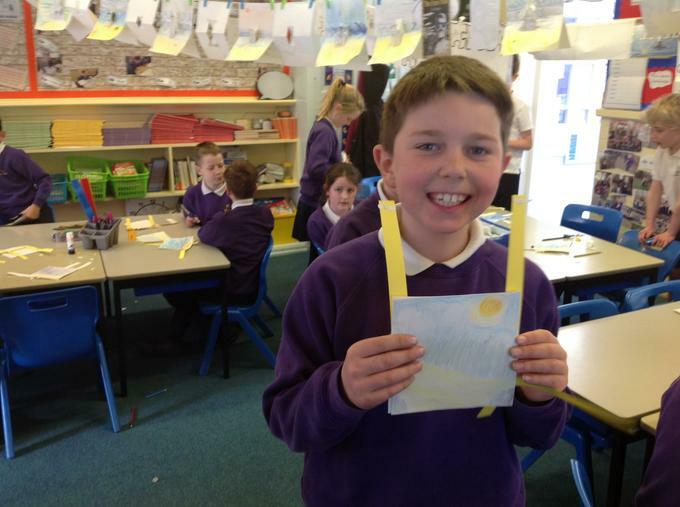 Spring 2 - We have designed and created our own moving pictures. 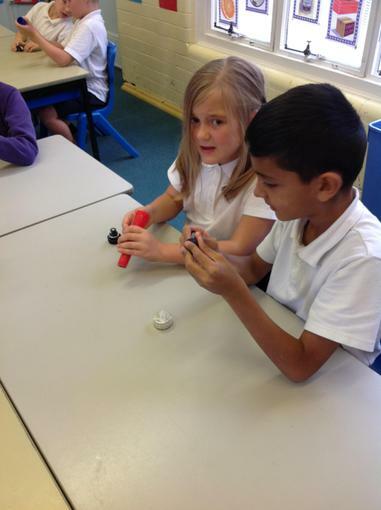 This half term we will be looking at mechanical and electrical systems. 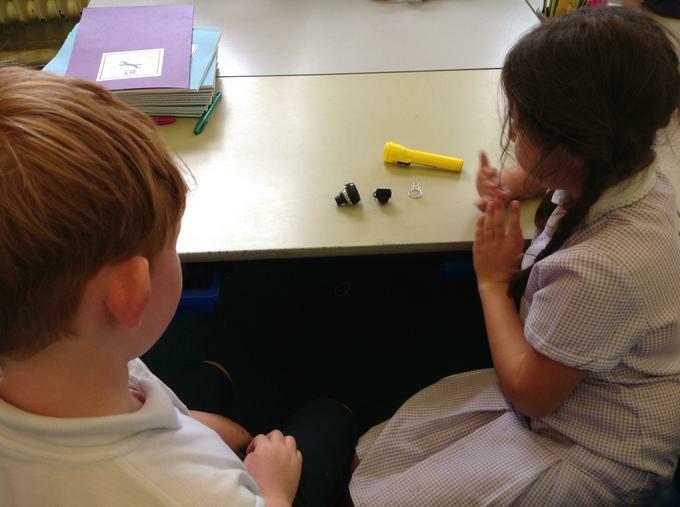 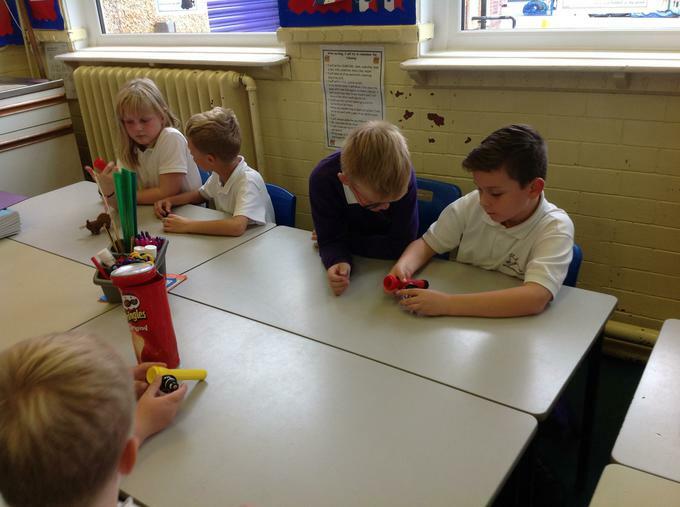 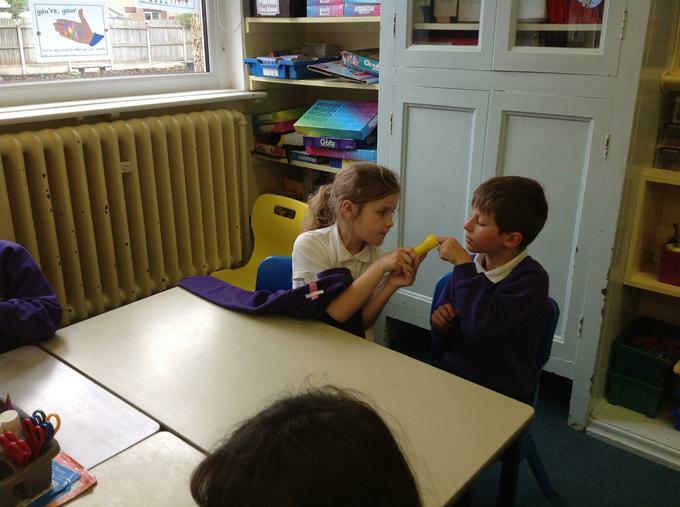 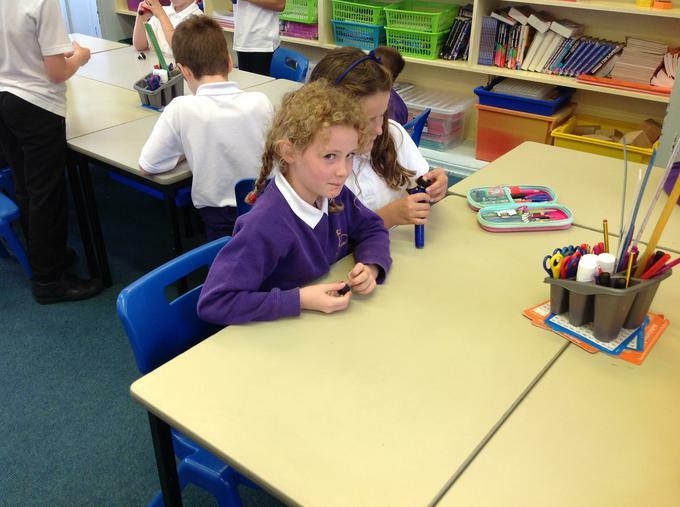 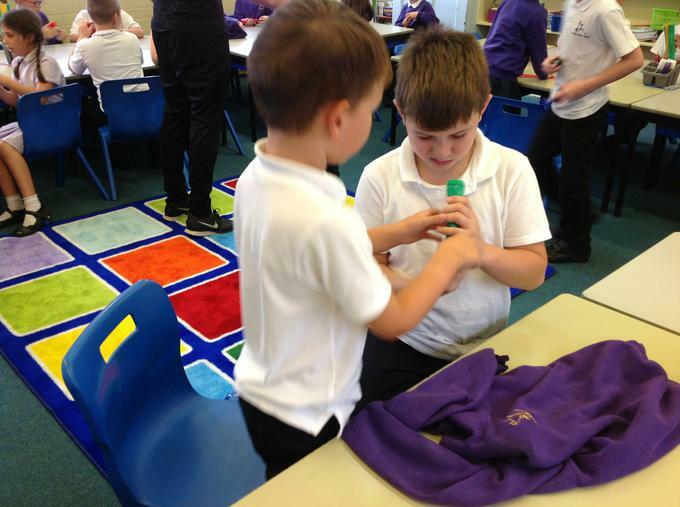 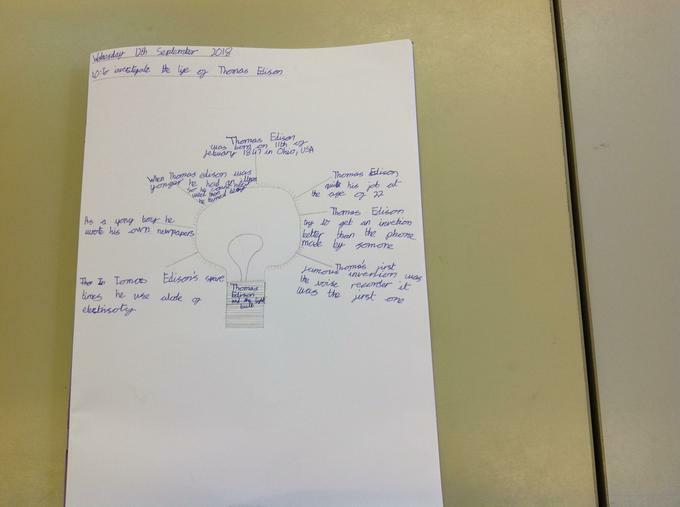 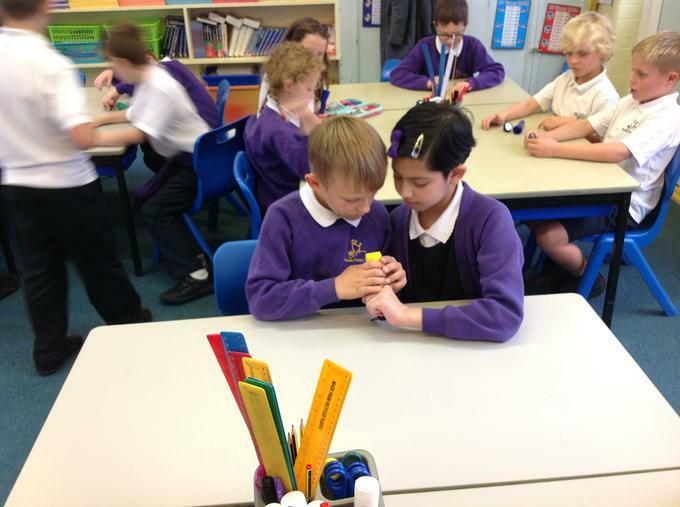 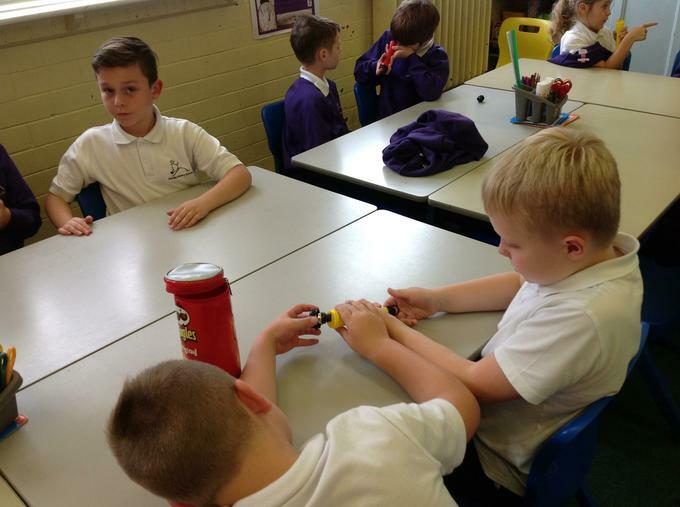 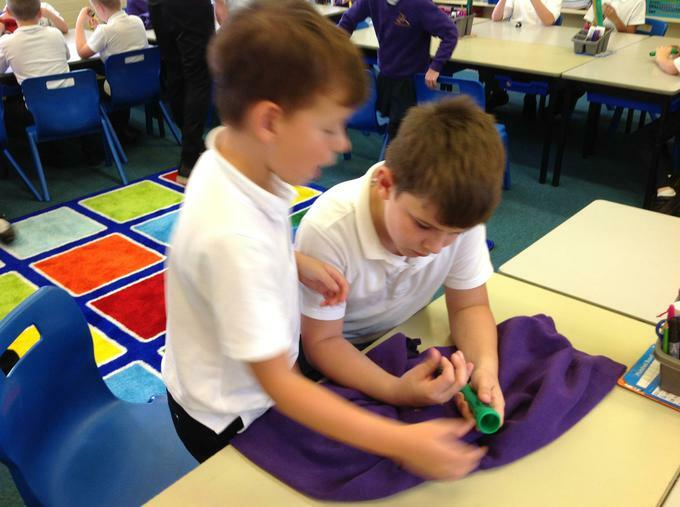 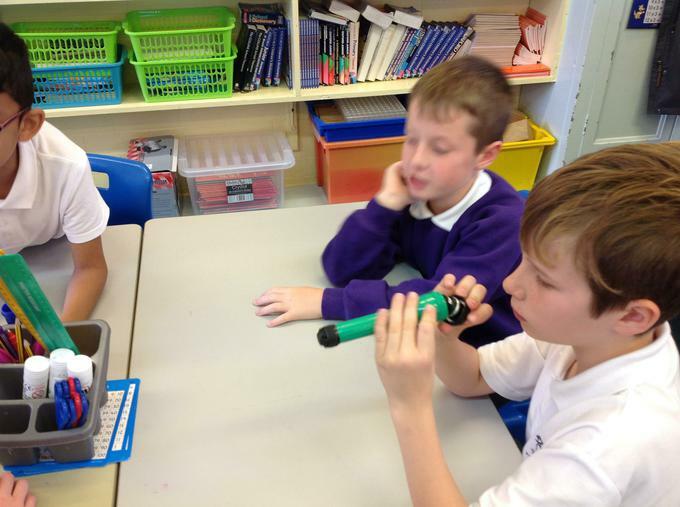 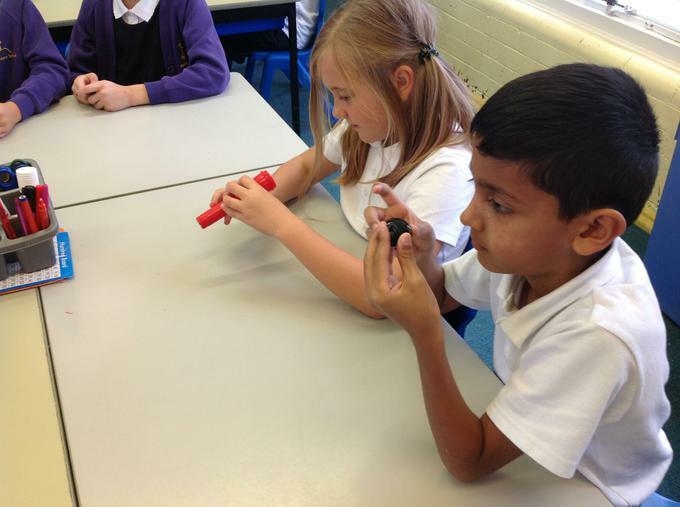 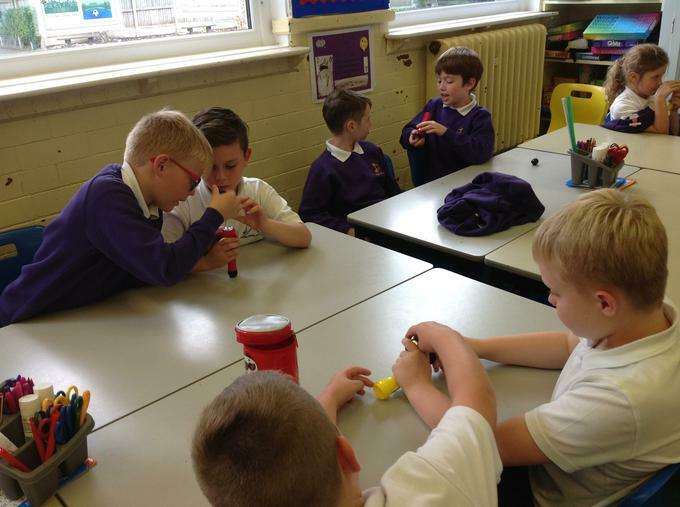 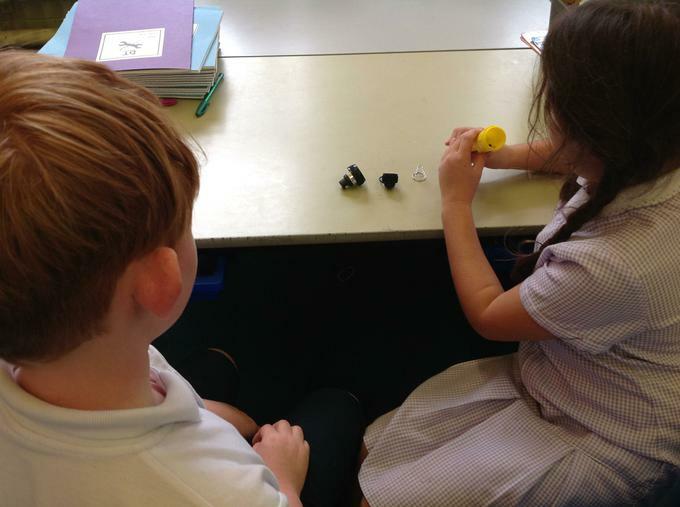 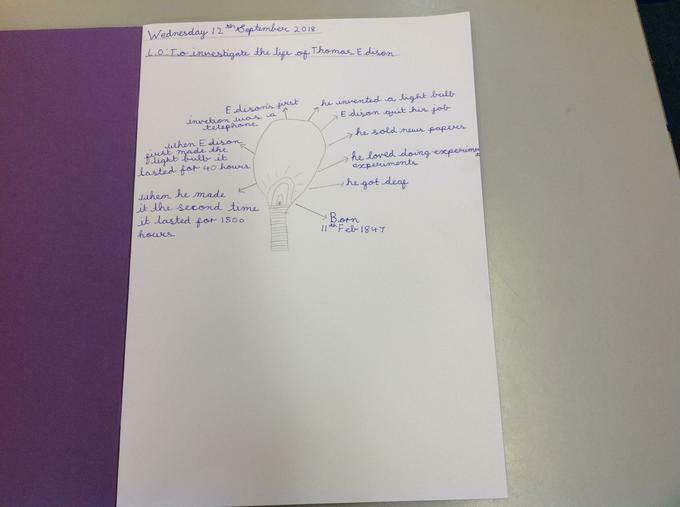 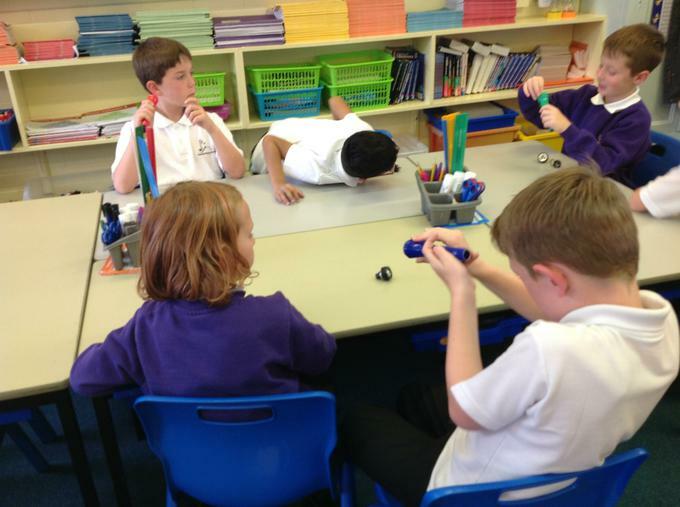 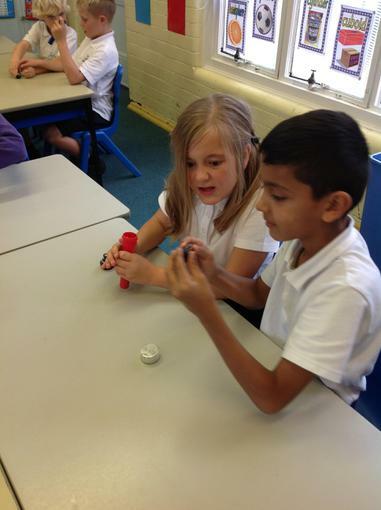 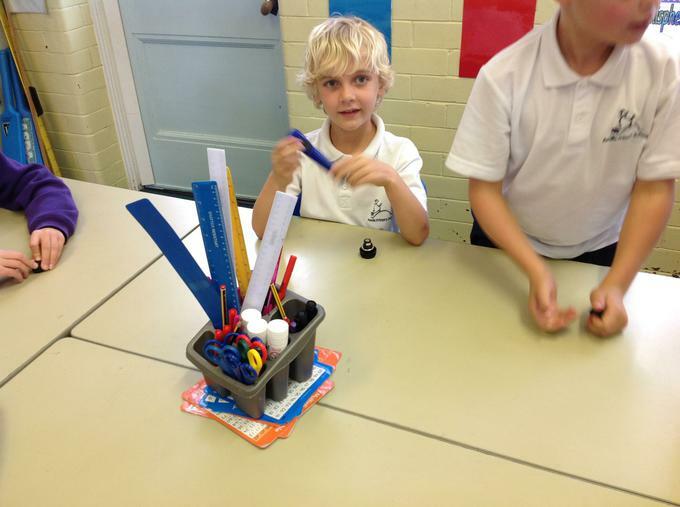 We have been investigating the mechanics of a battery operated torch.